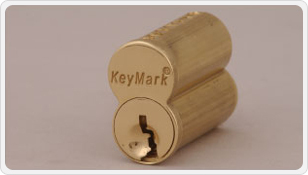 Las Vegas Locksmith services are available every day from Halfprice Locksmith of Las Vegas. 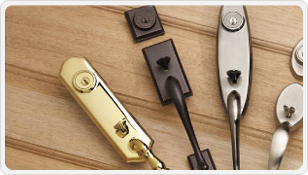 We offer emergency locksmith services, where and when you need us in Las Vegas. Henderson and North Las Vegas. A locksmith emergency means you need someone quickly and with our fast response time related to all kinds of locksmith emergencies you can count on us ''All Locksmith emergencies are treated with urgency every time''. Our highly qualified & experienced team of technicians know how to solve all types of locksmith problems and get you out of any emergency. They accomplish all emergency locksmith tasks using the most advanced locksmith tools and equipment, to provide the highest quality of locksmith services. If your security at home or business has been compromised for any reason you should never wait. You should use our re-key special and get control back of your residence or business ASAP. Locksmiths may not be on many people's list of Most Wanted Jobs, but there is little doubt that they serve an important function in society. Without their skills, many safety and security systems all over the world would be seriously compromised, or maybe never had been invented at all. Most locksmiths cater to specialized sectors, many of them dealing exclusively with either automotive locks, residential units, or commercial buildings. There is one type of locksmith, though, that is trained to respond and resolve most kinds of situations involving any type of lock in any kind of unit. They are known as emergency locksmiths. They are the kind of skilled locksmiths that can be called anytime of the day for instances when one is left locked out of the home or when car keys are misplaced and there's no way to get spare keys. It is never anyone's wish to require the services of an emergency locksmith but it is also good to know who to contact and how, when the need arises. To be ready for any eventuality of a lost key, or a lock-out situation, or a faulty lock, one must have identified the qualities of a great Las Vegas emergency locksmith.